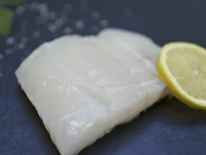 Seeing as we’re giving away 500g of free haddock fillets with all orders over £60 until Sunday 15 April it’s only right that we offer you some ideas for how to cook the stuff, right? Right. We’re all for keeping it simple – a fussy hand spoils the simple pleasures of fish more often than not. 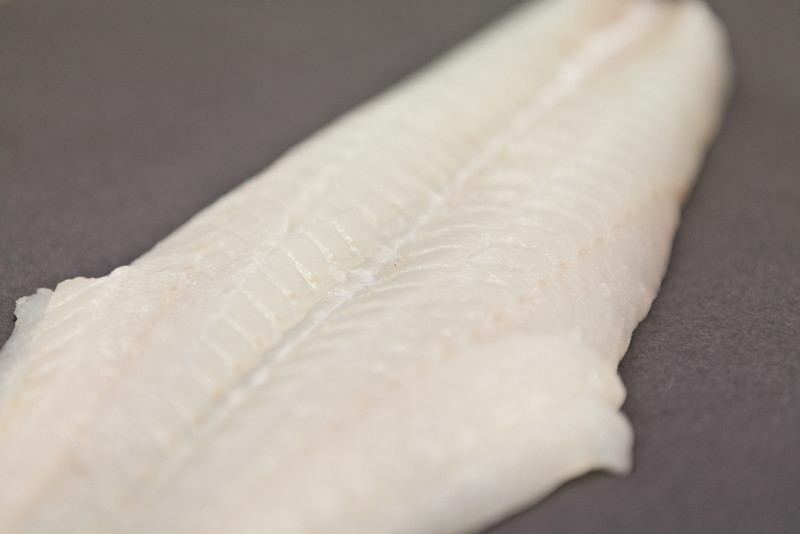 The best course of action is to let the ingredients do the work, and with our super-fresh smoked haddock you’re on the right road before you’ve even lifted a finger. Whether you’re after a spicy main course, a velvety soup or a warming one-pot meal, you’ll find something to light your fire here. Heat the oven to 200C/180C fan/gas 6. 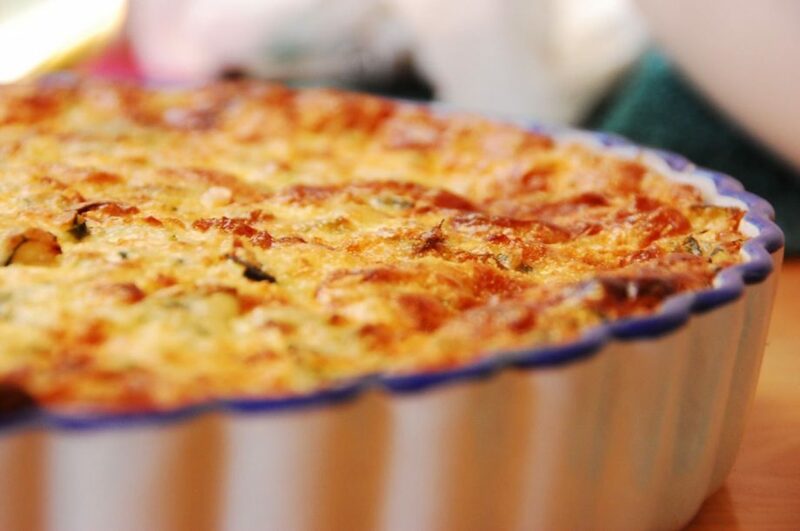 Heat the butter in a shallow flameproof casserole dish and sizzle the bacon until it changes colour. Add the onion and thyme and fry with the bacon for 5 mins until the onion is starting to soften. Lower the heat, add the potatoes to the onion and cover the pan. Steam-fry the potatoes for 25-35 mins until they soften, stirring occasionally to stop them sticking to the bottom of the pan. When the potatoes are ready, stir through the haddock, crème fraîche and a good grinding of black pepper, and mix until everything is combined. Flatten down with a fish slice and bake in the oven for 40 mins until golden. Serve with a green salad. Heat the oil in a medium non-stick saucepan over a low heat and sauté the spices and onion for 5 minutes, until softened. Rinse the rice under cold running water until the water runs clear, then tip into the saucepan and stir until coated in the oil. Pour over 400ml cold water and scatter with the frozen peas. 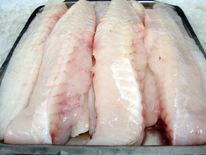 Arrange the whole haddock fillets on top and place the butter over the fish. Bring to the boil, then cover with a tight-fitting lid and cook over the lowest heat possible for 12 minutes. Meanwhile, place 2 eggs in a small pan of cold water. Bring to the boil and boil for 6 minutes. Remove and set aside to cool slightly. Remove the shells and cut the eggs into quarters. Remove the lid from the kedgeree pan and turn the heat right up to drive off any excess moisture. Lower the heat and flake the fish with a fork, stir in the single cream and warm through. Season well with salt and pepper to taste. Top with the egg quarters and parsley, if using, to serve. For the stock, heat the butter and vegetable oil in a large pan and gently fry the leeks, onions and fennel for 3-4 minutes, or until softened. Add the white wine to the pan and bring to the boil. Add the smoked haddock, pour in the water and bring back to the boil. 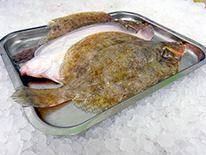 Reduce the heat and simmer for 30 minutes, skimming off any scum that rises to the surface, until the haddock is cooked through. Strain the haddock, reserving the cooking stock. 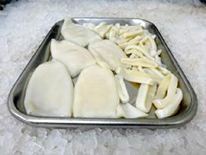 Chop the haddock into bite-sized pieces. For the soup, heat the butter with the vegetable oil and fry the leeks, shallots and garlic for 3-4 minutes, or until softened. Add the potatoes and the chopped smoked haddock to the pan. Add the reserved cooking stock and bring to the boil, then reduce the heat and simmer for 10-15 minutes, or until the potatoes are tender. Stir in the cream and briefly blend the soup with a stick blender. It’s the last few days before Christmas and some of us are still planning for the big day! If you’re looking for ideas for appetisers or canapes, don’t panic, we’ve got you covered! 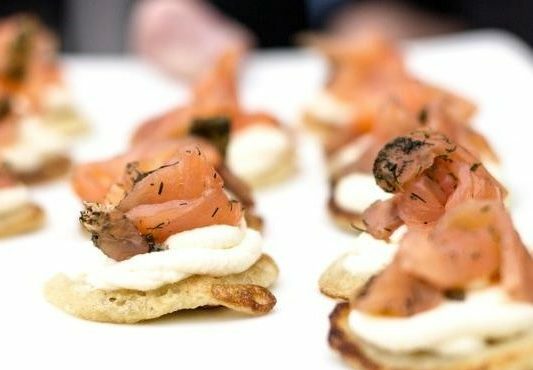 Smoked salmon is a tasty treat, it can be used in a wide variety of recipes and can be an ally of choice when looking for quick and easy canapes that will impress your guests this Christmas. These can also be perfect for New Year’s Eve if you’re hosting a party! This recipe makes about 12 pinwheels. On a chopping board lay out the smoked salmon slices. Spread the cream cheese over the surface of the fish. Place into freezer-proof container and pop into the freezer for 20 minutes to firm up. With a very sharp knife gently cut – using a sawing acting – down the roll at 2 cm intervals (wiping the knife on a paper town between slices). Arrange the wheels on a serving plate and sprinkle with chopped dill. To save time, this recipe uses shop-bought blinis but if you have more time feel free to make them yourself! This recipe makes about 20 -24 blinis. Use a lemon zester or a peeler to remove thin strips of zest from the lemon, taking care to avoid the white pith, which tastes bitter. Put the strips to one side. 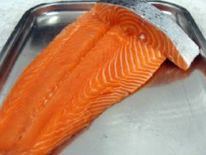 To dice the salmon, pile up the slices of smoked salmon into a stack. Using a very sharp knife, cut across the stack to give you thin strips. Turn the stack 90 degrees and cut across the strips again so that end up with fine dice. Place into a bowl. Add the juice of half of the lemon, or more to taste, and season with freshly ground black pepper. To serve, spread a layer of soured cream onto each blini. Place a spoonful of the salmon mixture on top of the soured cream and garnish each with a small sprig of dill and a strip of lemon zest. Serve these canapes with your choice of crackers or grissini. To prepare: Put 285g smoked salmon in a food processor and whizz until finely chopped. Add the cream cheese, crème fraîche and zest and juice of 1 lime. Season with salt and freshly ground black pepper and whizz until really smooth. 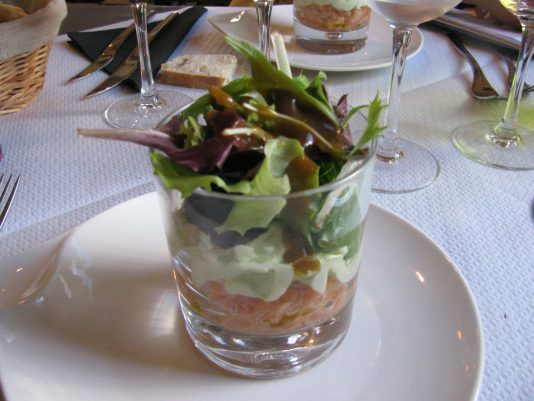 Transfer the salmon mousse to a bowl, cover and chill for 15 minutes. To serve: Remove the salmon mousses from the fridge 10 minutes before serving them. Cut the remaining smoked salmon into thin strips, then roughly fold them and place on top of each mousse. Top each with a coriander leaf and serve with crackers or grissini to spread with salmon and guacamole mousses. 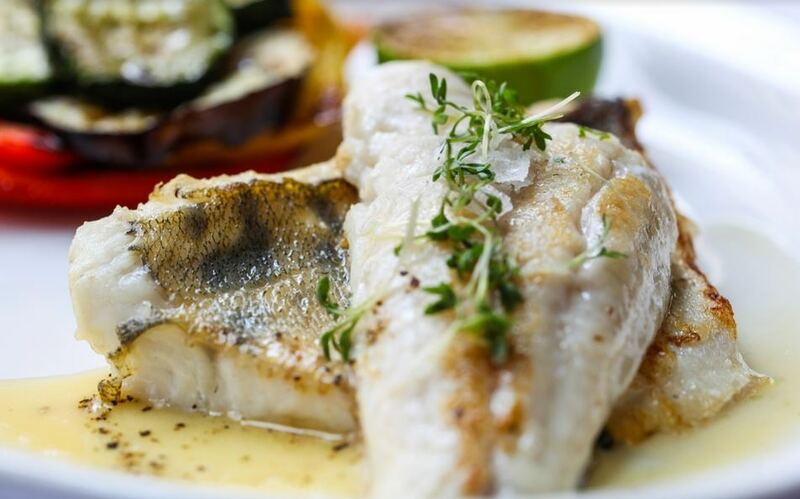 Fish and seafood are perfect for dining al fresco as they can make light and elegant dishes. So whether you are hosting a sophisticated dinner or a casual get-together, these recipes are sure to please your guests! These salmon burgers are easily tailored to your own taste and can be served alongside homemade coleslaw and sweet potato chips. Add salmon to the bowl of a food processor and pulse until it’s somewhat ground. 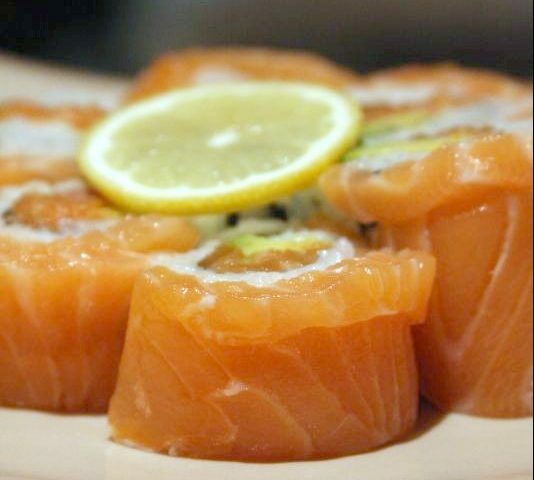 Remove and add salmon to a bowl with remaining ingredients (except for buns!) and mix with a spoon until just combined. 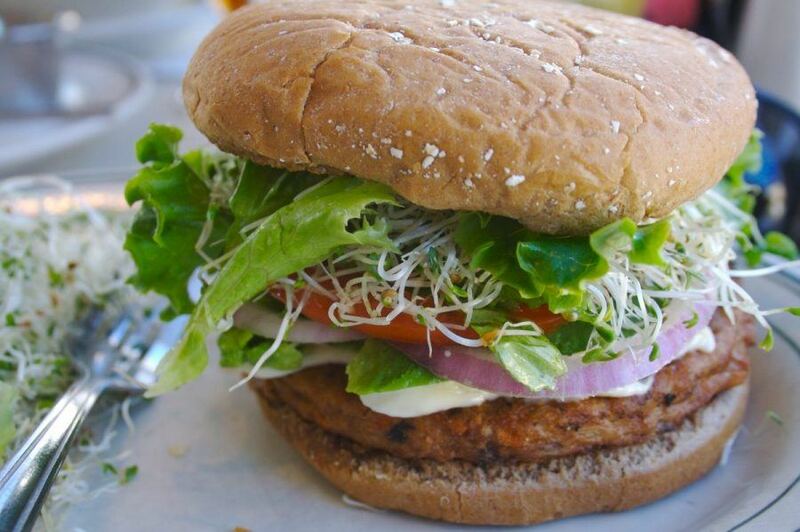 Form into 4 equally-sized burgers. Heat a skillet (or grill) over medium-high heat and cook burgers on each side until golden – about 3-4 minutes per side. You could also cook on a BBQ if you fancy it! Serve with additional BBQ sauce, lettuce and red onion for topping. 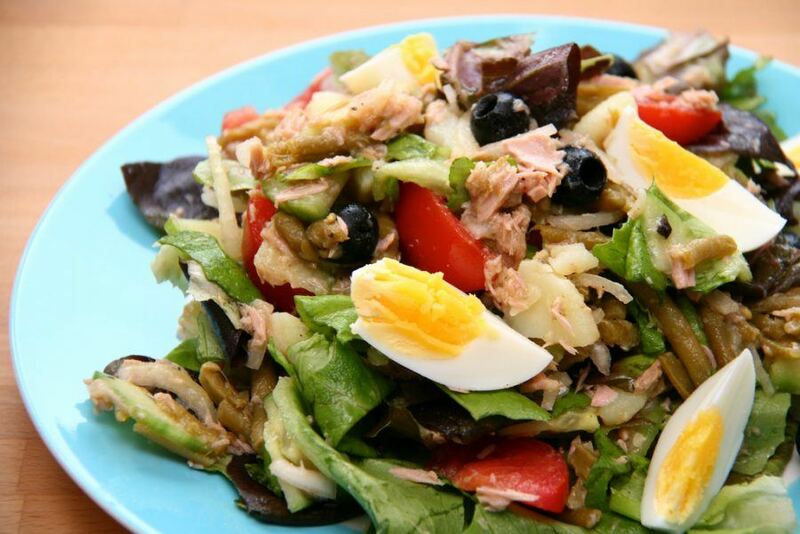 Salad Nicoise is a French classic that is best enjoyed in the summer. Using fresh tuna steaks makes it extra special! Make dressing.Whisk together vinegar, shallot, mustard, garlic paste, and anchovy paste in a small bowl until combined well, then add oil in a slow stream, whisking until emulsified. Whisk in thyme, basil, and salt and pepper to taste. Cook beans in a 4- to 6-quart pot of boiling salted water, uncovered, until crisp-tender, 3 to 4 minutes, then immediately transfer with a slotted spoon to a bowl of ice and cold water to stop cooking. Add potatoes to boiling water and simmer, uncovered, until tender, 15 to 20 minutes, then drain in a colander. Halve potatoes while still warm (peel if desired) and toss with 2 tablespoons dressing in a bowl, then cool. Prepare grill for cooking. If using a charcoal grill, open vents on the bottom of grill, then light charcoal. Charcoal fire is medium-hot when you can hold your hand 5 inches above rack for 3 to 4 seconds. If using a gas grill, preheat burners on high, covered, 10 minutes, then reduce heat to moderately high. 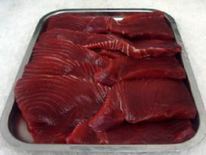 Brush tuna with oil and season with salt and pepper, then grill on lightly oiled rack, uncovered, turning over once until browned on outside but still pink in the center, 6 to 8 minutes total. Let tuna stand 3 minutes, then break into large (3-inch) pieces. Transfer tuna to a large platter and drizzle with 2 to 3 tablespoons dressing and top with capers. Transfer potatoes to the platter with tuna, reserving bowl. Drain beans and pat dry. Toss beans in a bowl with 1 tablespoon dressing and salt and pepper to taste, then transfer to the platter. Toss lettuce in a bowl with 2 tablespoons dressing and salt and pepper to taste, then transfer to the platter. Toss tomatoes in a bowl with 1 tablespoon dressing and salt and pepper to taste, then transfer to the platter. Arrange olives and eggs on the platter and sprinkle salad with parsley and/or basil. Serve salad with remaining dressing on the side. 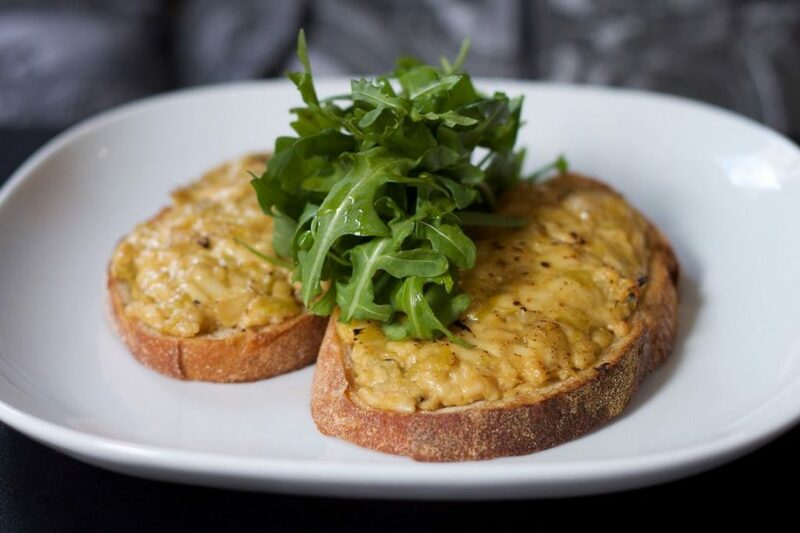 A fantastic starter that only takes minutes to put together! 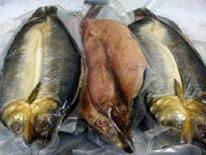 Mackerel is a delicious fish and it's packed with heart-healthy oil. 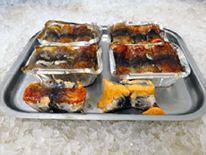 Carefully remove and discard all bones and skin from the mackerel and break up the mackerel meat into small pieces. Mix the mackerel, cucumber, onion, chives, capers, egg and frisée leaves in a bowl. Season to taste with salt and pepper. 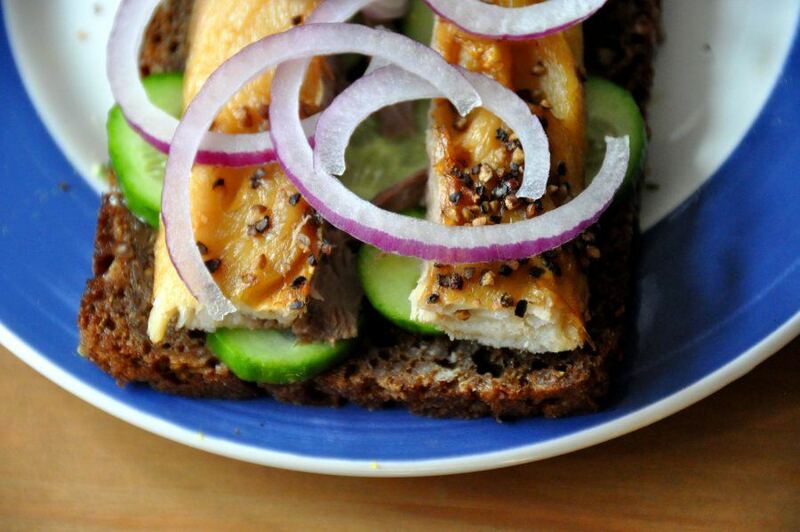 Serve the mixture on rye bread, topped with chopped radishes. In the UK, we know how to make the most of warm and sunny weather. Barbecue is the ultimate way to share a good time with friends and family and enjoy tasty food. Adding fish to the mix can make your BBQ extra special and can be very rewarding if you know a few tricks to make sure that your barbecued fish is a success! 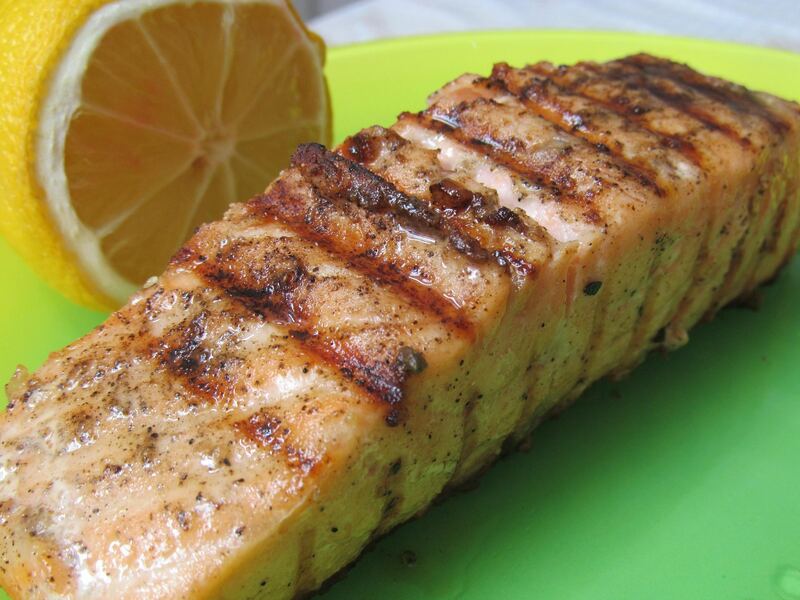 Ideally, you want to be using a mesh-type of grill so you can cook more delicate fish easily. If you don’t have any, you can always cook fish in foil. Also, make sure to oil your fish before placing it on the grill, so it doesn’t stick. Making sure the grill is clean can also help prevent the fish from sticking. You can also use fillets to make fish skewers or fish burgers, which often helps to make it more appealing for young children! You can also choose to cook fish whole. Serving whole fish always makes for an impressive main course and leaving the fish whole helps to keep the fish moist and flavourful. You can also stuff whole fish which is a great way to add flavour. Try marinating your fish – even something as simple as a drizzle of olive oil, a squeeze of lemon juice and few herbs can do wonders. 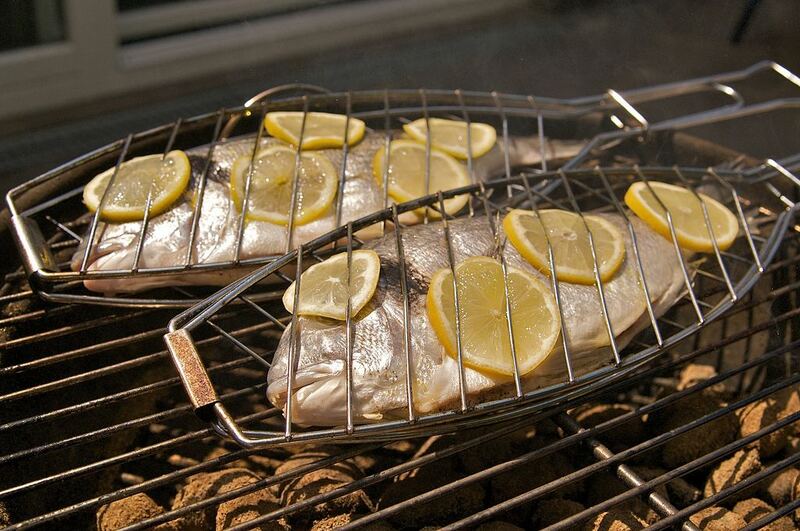 Classic flavours usually suit barbecued fish quite well: garlic, lemon, basil, thyme or chilli. Try to avoid overpowering flavours that would take over the fish and mask its taste. You can also use flavoured butters or side sauces to add some flavour to your fish. Simply grilled vegetables compliment well fish cooked on a BBQ. Try Mediterranean vegetables such as courgettes, tomatoes, aubergine or bell peppers. You can also serve light salads as a side dish. If you prefer something more substantial, you can serve your fish with rice or roast potatoes. A traditional Dublin Coddle uses sausage and bacon but this version is full of tasty seafood. You can choose any fish and seafood you like, it’s really up to your personal preference! You can serve it with rice or potatoes on the side. Add scallions, carrots and celery and simmer for 20 minutes. Add fish/seafood of your choice and simmer for another five minutes. Serve in deep plates or bowls, with generous sprinklings of fennel or parsley. 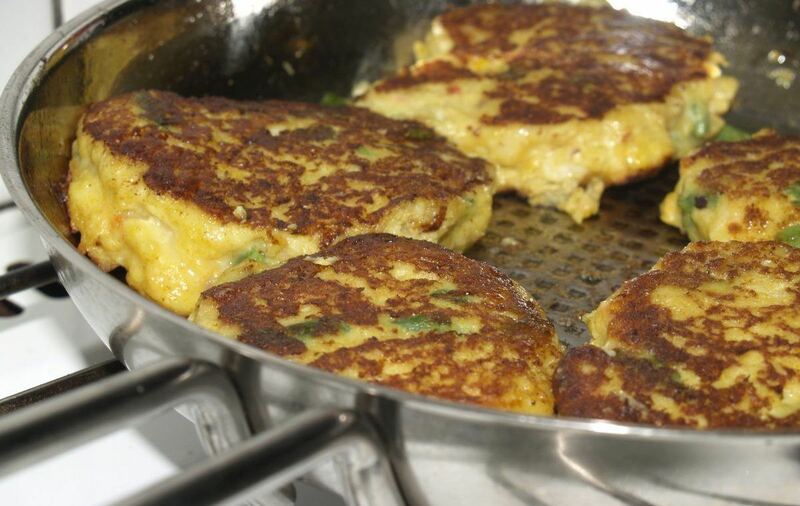 These fish cakes are great made with fresh fish but they also are good to make if you have leftover fish to use! You can play around with the ratio of fish and potatoes, depending on how you prefer your fish cakes! Peel and chop the potatoes into large chunks. Put them in a saucepan, cover with cold water, add 2 teaspoons of salt, and bring to a boil. Cook until the potatoes are very soft. Put the cod in a shallow saute pan and cover with cold water. Bring to a boil, and then cover, turn off the heat, and let the fish poach for about 10-15 minutes. Drain. Drain the potatoes and put them into a large mixing bowl. Use the back of a fork to mash them, leaving a little bit of texture. Add the ketchup, parsley, lemon juice, beaten eggs, and salt and pepper. Stir briefly to combine, and then add the fish, breaking it apart with your fingers as you add it. I like the fish to remain fairly chunky, so don't break it apart too much. Fold the fish into the mixture until everything is evenly incorporated. It will be fairly wet. I use a ⅓ cup measure to scoop out the mixture and form into patties. Flour your hands if necessary. Roll each patty in the Ritz cracker crumbs, to coat all surfaces and set on a platter. You can cover and refrigerate the cakes at this point for later cooking if you like. Coat the bottom of a skillet with vegetable oil and heat over medium heat until hot. Fry the cakes for about 5 minutes on each side until golden, crispy, and hot throughout. Note: the cakes will be very delicate, move and flip them with extra care. Serve immediately on top of a bed of greens. I like to mix the greens with a few chopped ripe tomatoes and some thinly sliced red onion. You can add a little oil and vinegar to the salad if you like before adding the cakes. Serve lots of fresh tartar sauce and lemon wedges on the side. To make the tartar sauce: Put all the ingredients into a jar that fits the head of your blender. Set the head of the blender down at the bottom of the jar, and turn it on. Blend for a few seconds and as the sauce starts to thicken, gently raise the blender up to blend all of the contents. This will only take a few seconds. you can pulse the blender a few times to continue to thicken the tartar sauce. Remove the blender, give the sauce a stir, and taste to adjust the seasoning. Screw the cap on the jar and keep refrigerated until needed. Use within a week to 10 days. This delicious seafood consists of lobster meat flavoured with whisky and cream. 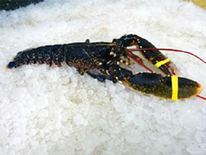 If you’re starting with live lobster, check out our guide on how to prepare lobster. If you’re not keen on using lobster, you can always use prawns! Start by cooking the rice. Cut the lobster meat in big chunks (or prawns if you are using them). 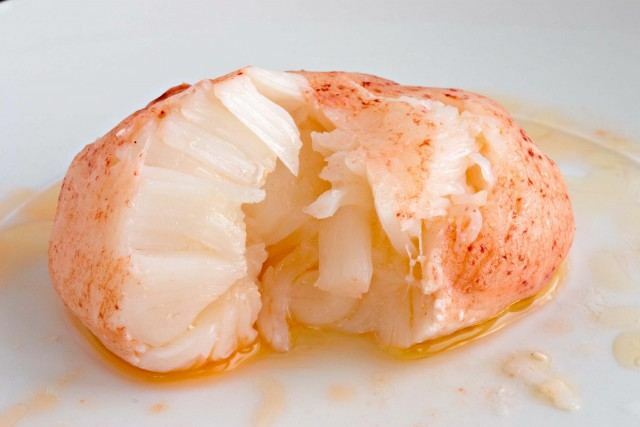 Add lobster meat (or prawns) to the butter and season with salt, pepper, cayenne and paprika.Cooking should take around 3-4 minutes depending on the size of your seafood. Gently add whisky to the pan. Using a lighter catch whisky on fire. Wait until the fire goes out and alcohol is burned off. This should take just a few minutes. Add seafood back into the saucepan and toss to coat. When it comes to cooking fish, the possibilities are endless. We love experimenting with new flavours and finding original recipes we have never seen before! But there are times when only the classics will do. Whether you are trying to warm up on a chilly day or just fancy something simple, here are some recipes inspired by some of the greatest classic British classic dishes. 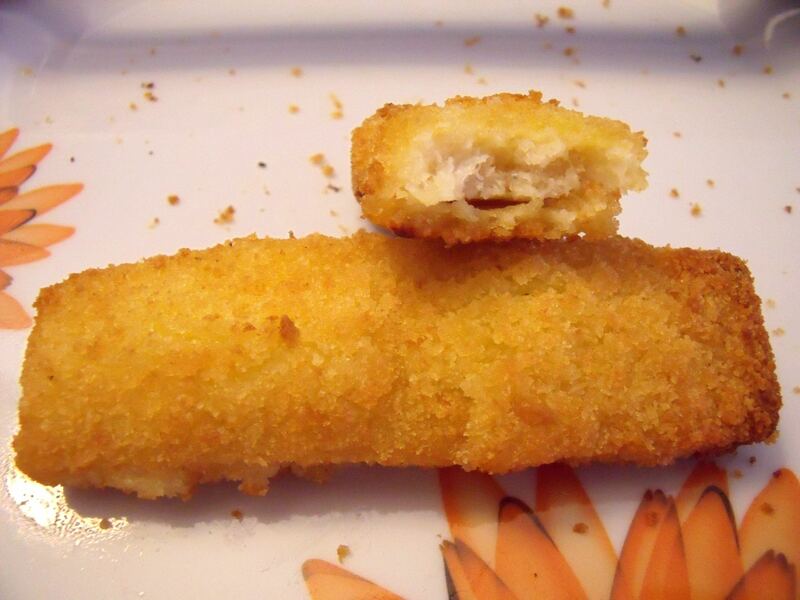 Making your own fish fingers are a great way to involve kids in cooking or get them to eat more fish. It’s well worth making your own as well! In this recipes, the fish fingers are served with a delicious homemade peat & mint mayonnaise. Choose your favourite bread to transform this recipe into a fish finger sandwich! Begin by making the mayonnaise. Place the egg yolks, peas, mustard, vinegar and half of the mint into a blender and blitz for 30 seconds. Leaving the motor running, add the oil in a slow, steady stream through the funnel until the mixture is fully emulsified. Stop the machine and add the remaining mint and some salt and pepper, then blend for a further 30 seconds. Transfer the mayonnaise to a tub, check the seasoning and refrigerate until needed. Set up three bowls: one with the flour, one with beaten eggs and one with breadcrumbs. Pass the fish, one piece at a time, though the flour and pat off any excess, then through the egg, and finally through the breadcrumbs. Place the breaded fish on a plate. Preheat a deep-fryer or large recipient to 180°C. Fry the fish fingers for 4 minutes until golden and crisp, turning as necessary to colour evenly. When the fish is ready, drain on a plate lined with kitchen paper and season well with salt and pepper. Serve with any of your favourite vegetables with the mayonnaise on the side. 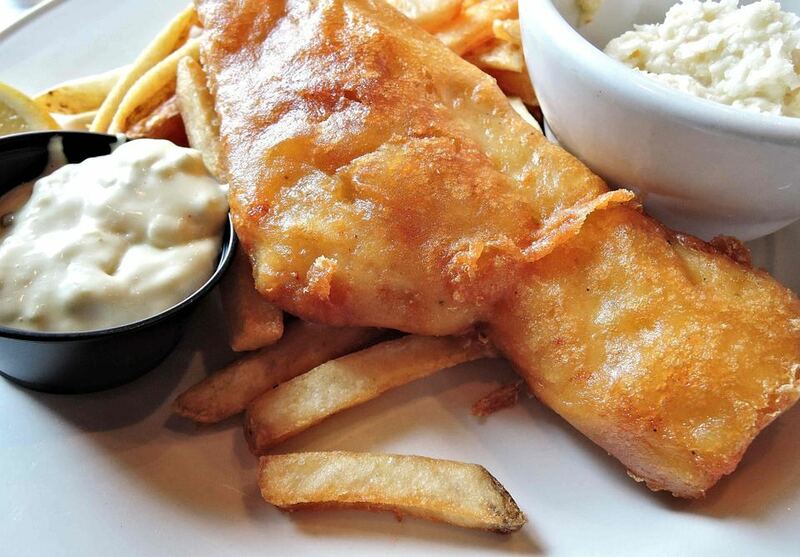 It’s very hard not to love fish & chips. A great classic that many of us enjoy on a regular basis. This recipe suggests a healthier version by using a light batter, cutting down on calories and fat but certainly not taste! Why not treat your family to this fantastic dish? Preheat the oven to 220°C/fan200°C/gas 7. Cook the chips in a pan of boiling water for 7-10 minutes until just tender, then drain and pat dry with kitchen paper. Put the chips in a roasting tin, then toss with the salt and olive oil. Roast the chips for 15 minutes, turn, then cook for another 20-25 minutes until golden. Pour the sunflower oil into a wide, deep pan until half full, then heat to 180-200°C (a piece of bread dropped into the oil will turn golden in 30-40 seconds). Dip the fish fillets into the batter to coat, then use a slotted spoon to lower them into the hot oil (you may need to do this in batches). Fry for 5 minutes, keeping the oil at 180-200°C, or until golden and cooked through. Remove with a slotted spoon and drain on kitchen paper. Serve with the chips and lemon wedges for squeezing. There’s nothing like a warm bowl of haddock chowder to warm you up on a cold day. It’s great comfort food and is easy to make! If you are using frozen ingredients, you can follow the recipe but make sure that you cook everything long enough so that all ingredients are cooked through. Heat the butter and oil in a large, non-stick frying pan over a medium heat. Add the onion and fry for 3 minutes, stirring regularly, until completely softened but not coloured. Sprinkle over the flour and stir the onions well. In a measuring jug, mix the milk and water. Gradually add 700ml/1¼ pints of the liquid to the onions, stirring after each addition. Add the potatoes and salt to the pan and season generously with freshly ground black pepper. Bring the mixture to the boil, then reduce the heat until the mixture is simmering. Simmer, stirring regularly, for 10-12 minutes, or until the potatoes are almost tender. Stir in the sweetcorn and leeks and return the mixture to a gentle simmer. Place the smoked haddock fillets on top of the chowder and continue to simmer for 10-15 minutes, or until the fish flakes easily when prodded with a knife. (This will depend on the thickness of each fillet.) Turn the fish twice as the fillets simmer, without allowing them to break up if possible. 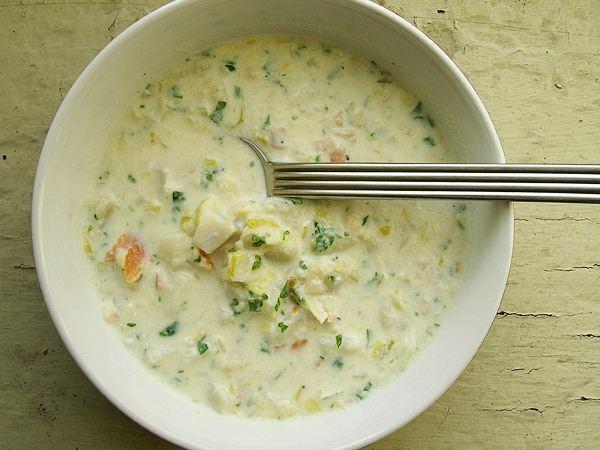 Carefully remove the cooked smoked haddock fillets from the chowder using a slotted spoon and set aside in a warm place. Stir the remaining milk and water into the pan and return to a simmer, stirring. 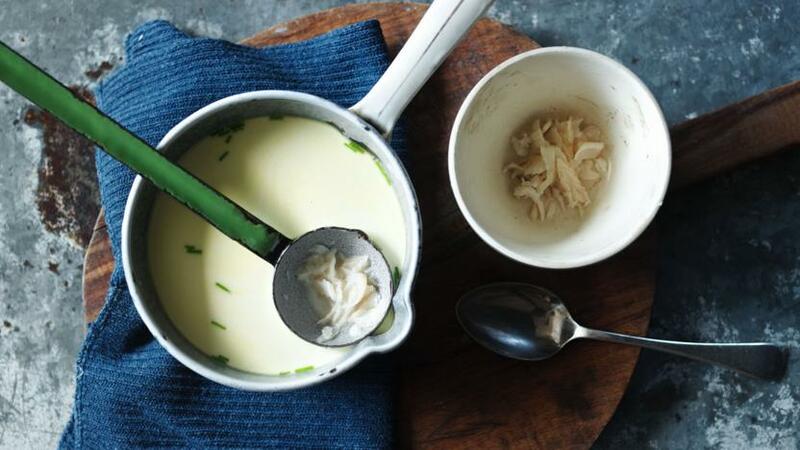 To serve, spoon the chowder into warm bowls, seasoning with salt and pepper, if necessary. Top each serving with one of the haddock fillets and a poached egg (if using). Garnish with parsley, if using. 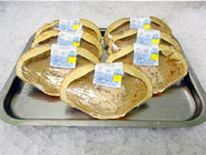 Serve with slices of crusty bread. 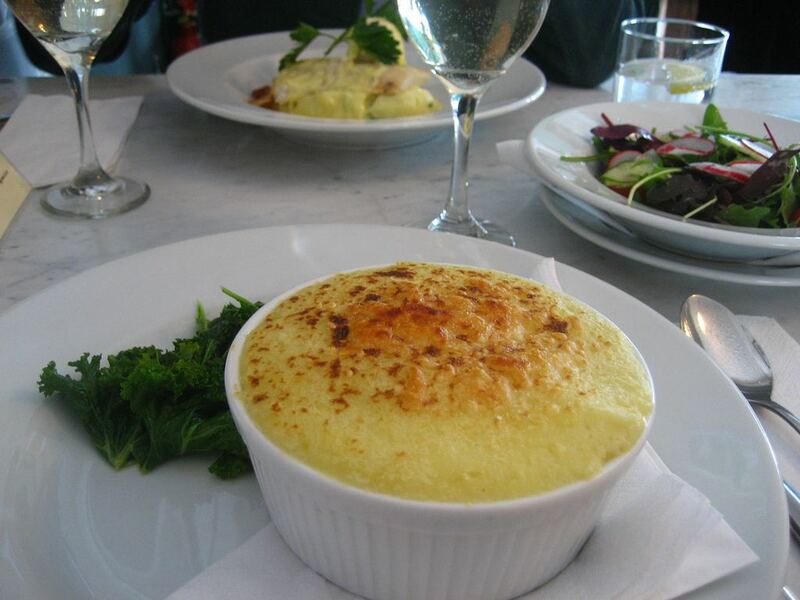 Fish pie might just be the ultimate comfort food (or are we slightly biased?). Combining creamy mashed potatoes and delicious fish, it’s easy to make and any leftovers can easily be frozen to eat later. This recipe uses salmon, smoked haddock and cod. To make your life easier we have a fish pie mix available! 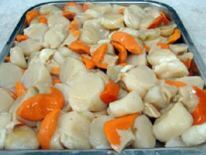 Peel the potatoes and cut into 2cm chunks, then boil for around 15 minutes, or until tender. Add the eggs for the last 8 minutes (if using). Meanwhile, make the sauce. Melt the butter in a heavy-bottomed pan over a low heat and stir in the flour. Add the bay, then bit by bit, add the stock and the milk, stirring after every addition until you have a smooth, silky sauce. Bring to the boil, then reduce to a simmer and cook for 10 minutes, or until thickened. Stir in the mustard, grate in half the cheese, then squeeze in the lemon juice. Pick, finely chop and stir in the parsley (if using), then keep stirring until the cheese is melted. Season with a little black pepper, then remove from the heat. Get yourself a 25cm x 30cm baking dish. 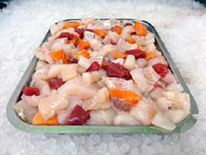 Slice the fish fillets into 2.5cm chunks and spread them evenly over the base of the dish. Wilt and add the spinach, then peel, quarter and add the eggs (if using). Remove the bay leaves, then pour over the white sauce and allow to cool slightly. Drain the potatoes well and mash with a little extra virgin olive oil, a splash of milk and a few scrapings of nutmeg. Spoon the potatoes over the pie and scuff up the surface with a fork. Grate the remaining Cheddar over the top and bake in the oven for 45 minutes, or until the fish is cooked through, the sauce is bubbling up at the sides and the top is golden. 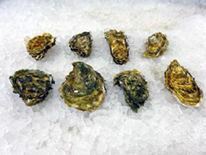 If you purchase a large quantity of fish and seafood, you will have to freeze what you’re not using immediately as fish can only stay fresh for up to two days in the refrigerator. 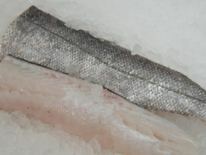 But did you know that it is possible to cook your fish straight from the freezer, without thawing it first? Cooking fish straight from the freezer can save time but you have to be particularly careful in order to preserve the quality of the fish. 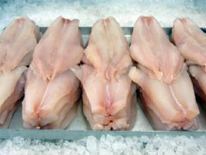 Take the fish out of the freezer and out of its packaging. 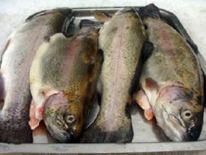 Thoroughly rinse with cold water to remove any ice that might be on the surface of the fish. Pat the fish dry with a paper towel or a clean tea towel. Brush the fish with a thin layer of olive oil or marinade, season to your taste and start cooking. 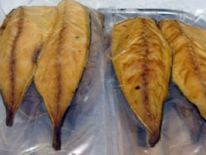 Baking, poaching or steaming are the best methods for cooking fish if you’re skipping the thawing process. Avoid pan-frying as the fish may release too much water or the flesh won’t be evenly cooked. If you’re following a recipe, you may add a few minutes to make sure the frozen fish is fully cooked. As cooking times vary depending on the thickness of fillets, the best thing to do is keep a close eye on your fish and make sure it’s soft, flaky and evenly cooked. 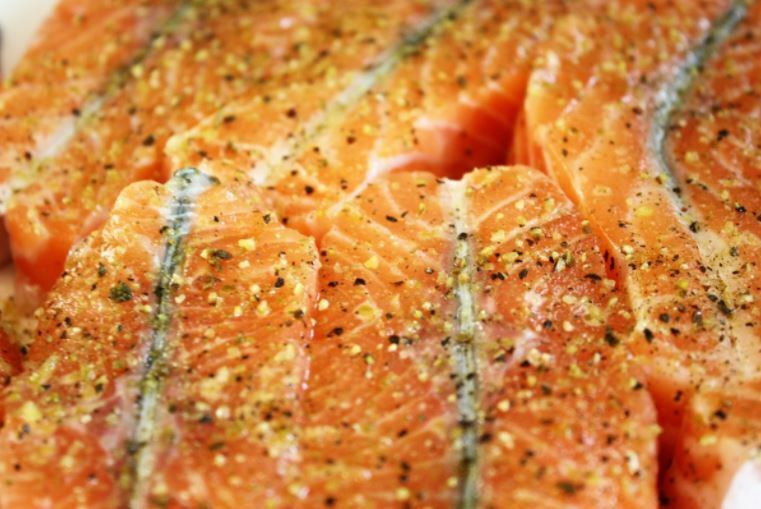 Oily fish can quickly become a soggy mess if cooked in the wrong way. 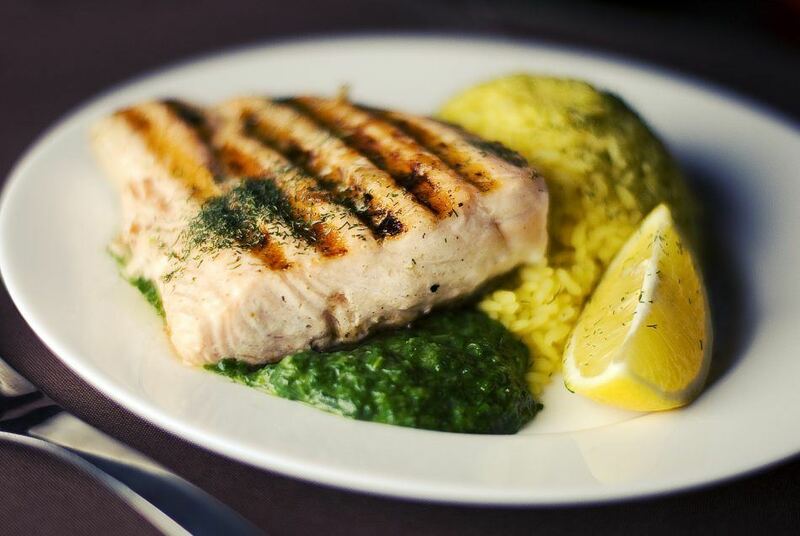 If you want to cook fatty fish such as salmon fillets from frozen, choose recipes such as stews or curries where the fish is gently cooked in liquid. Poaching or gently baking would work well too. 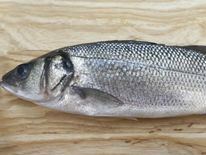 White fish is generally less delicate to cook from frozen as it is leaner, so you can bake, grill, poach, steam or even pan-fry – if you’re being careful and removing any excess water. 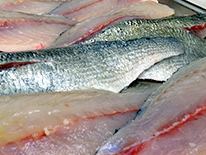 We would still suggest choosing recipes where the fish is gently cooked so everything can be evenly cooked. 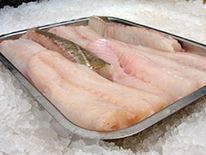 Cooking fish fillets straight from the freezer may produce a slightly different texture than fresh fish, depending on which recipes you are cooking, so we would advise on planning things ahead and gently thawing your fish if possible, in order to get keep quality at its best. 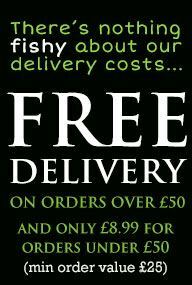 Fancy trying our products? 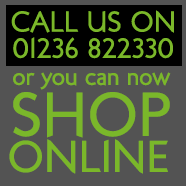 Enter your email address below and we’ll send you an exclusive 15% off discount code! 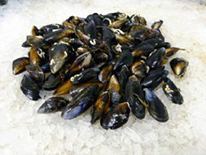 Fish and shellfish stock can be used in lots of different recipes and are always a great way to add flavour to any dish! It’s very easy to make and is easily freezable, so you can make bigger quantities ahead and keep the stock in your freezer for up to a month. A classic fish stock recipe that can be used for a wide variety of recipes, such as Stews. In a large pot, combine the fish bones and heads with the water, white wine, sliced leek, onion and celery and the chopped garlic, bay leaves, peppercorns and sea salt and bring the fish stock to a simmer over moderately low heat. Simmer the stock for 30 minutes. Strain the fish stock through several layers of moistened cheesecloth. 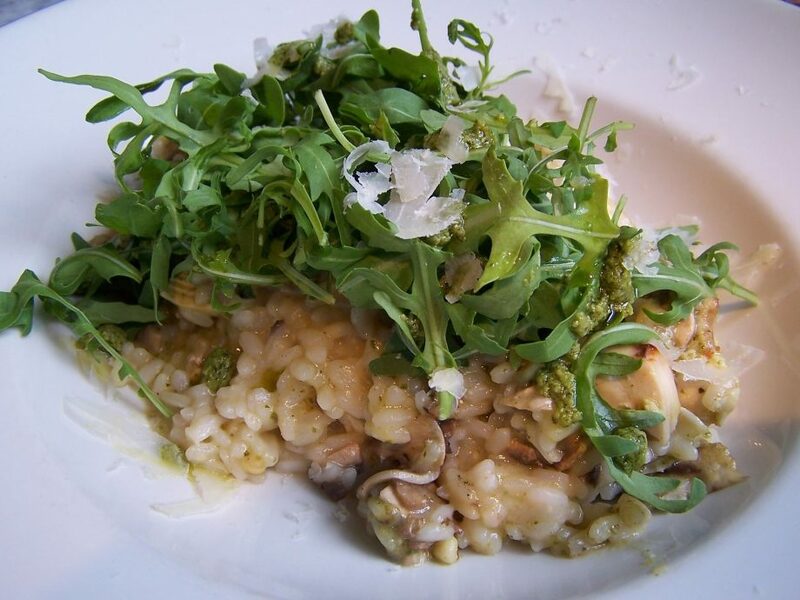 This seafood stock is pretty easy to make and can be a great base for cooking risotto or sauces to top seafood dishes. Rinse the prawn heads and shells in cold water and drain. Heat the olive oil in a stockpot over medium heat. Add the onions, celery, carrots, garlic, thyme, parsley, bay leaves, and peppercorns. Cook stirring occasionally until the onions are translucent and the other vegetables soften, about 8 minutes. Add the prawn heads and shells, stir, and let the mixture sizzle for a few seconds. Add the tomato paste and wine. Stir once, cover, and cook for about a minute, shaking the pot once or twice. Carefully pour in the water and bring mixture to a boil, then lower the heat and simmer, uncovered, skimming the surface and discarding any foam that builds up. 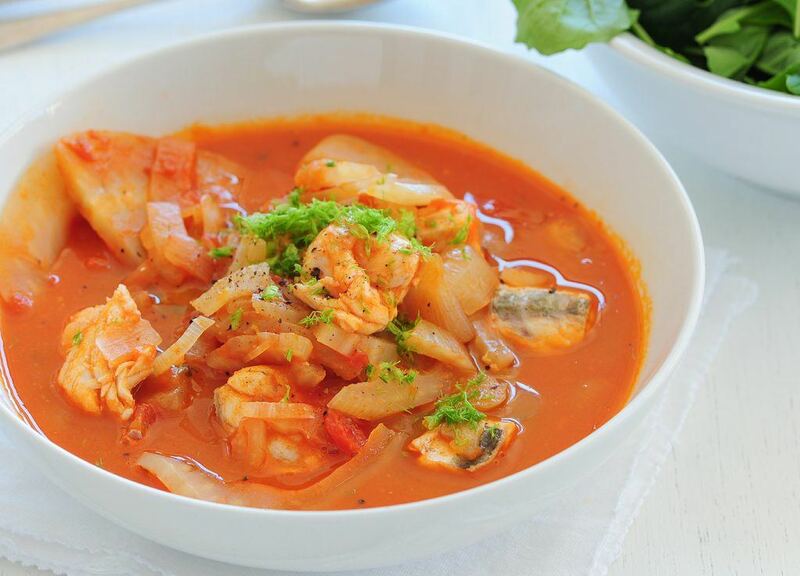 Simmer over low heat for 45 minutes to an hour, checking for a deep color and rich seafood flavour. Add salt if needed toward the end of cooking. Cool in an ice-bath and refrigerate or freeze if not using immediately.